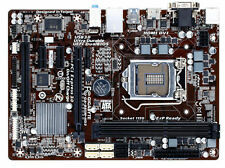 Asus P8H61-I LX R2.0 LGA 1155 Mini-ITX Motherboard. Heat Sink Fan & I/O Shield Included. Socket Type : LGA 1155/Socket H2. Mini ITX Form Factor. HEAT SINK (COOLING FAN) AND BACKING SHIELD INCLUDED WITH MOTHERBOARD. Socket type: LGA1366. Manufacturer: Dell. We include exactly what is shown in the photographs, nothing more and nothing less. 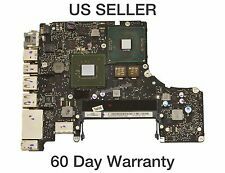 Apple MacBook Pro 13" Unibody 2.4Ghz A1278 Mid 2010 Logic Board. This motherboard is pulled from a new, tested system, and is in 100% working condition. No accessories are included with the motherboard unless otherwise listed. Manufacturer Asus. 1x Q87T/CSM/C/SI Motherboard with I/O shield. Q87T/CSM/C/SI. Condition New. Features New UEFI BIOS and EZ Mode: Friendlier, easier, and more intuitive with helpful info added. We are located in New Jersey. P6T Deluxe Version 2. Motherboard Overview. ASUS Crystal Sound ASUS Unique Features. ASUS Exclusive Features - ASUS TurboV. ASUS Power Saving Solution. - ASUS EPU-6 Engine. Supports one SATAIII ports (SATA1) by B75. - Supports five SATAII ports (SATA2~6) by B75. SUPPOERA LA SECONDA E 3 GENERAZIONE DI CPU SOCKET 1155. - ATX 24-Pin power connector. - 4-pin ATX 12V power connector. Cooler not included. Four SATA 3.0 Gb/s ports with two eSATA capable ports. 8-channel (5.1 2 independent multi-streaming) audio subsystem with three analog audio outputs using the Realtek ALC888 audio codec. Socket LGA1155. Board Form Factor Micro ATX. USB Revision 2.0. # of USB Ports 14. Frequency: 3.00 GHz. Serial Port via Internal Header Yes. Frequency: 3.10 GHz. # of Serial Ports 1. Equivalent to - DQ77MK. What is pictured is generally what you will receive. While we endeavour to use pictures of the actual item, this is not always possible when we have more than one for sale. Printers, Scanners and Copiers. 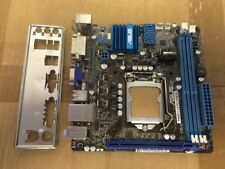 MSI H61I-E35 (B3) Mini ITX LGA1155 Motherboard. heatsink included. Connect your monitor to the motherboard. - ATX 24-Pin power connector. - 4-pin ATX 12V power connector. • Supports two unbuffered DIMM of 1.5 Volt DDR3 1066/1333/1600 DRAM, 16GB Max. MSI Reminds You. 1x System Motherboard. Manufacturer: Dell. Part Number: X501H/5dn3x. Fan-cooled heat sink, I/O Shield INCLUDED. Four Serial ATA 3.0 Gb/s ports. Processor (not Included). Two eSerial ATA 3.0 Gb/s ports. Gaming PC take a little bit longer usually is dispatched after 48h. Chip Set: Z370. Socket Type: 1151. 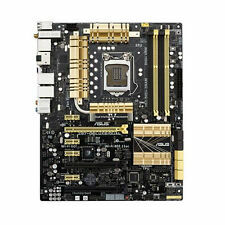 This Motherboard has been Manufacturer refurbished by ASUS. ASUS tests the Motherboard and confirms that it is fully functional. Form Factor: ATX. This Motherboard may show slight signs of use. Dual LGA2011-3 215PR. for Precision T7910. System Board. H81M-P33 (MS-7817). Technisch einwandfreie Gebrauchtware, optisch mit Gebrauchsspuren möglich. Sockel 1150. Rufen Sie uns an. • Mainboard. Senden Sie uns eine Nachricht. Fully tested motherboard, pulled from a working Dell Optiplex 790 SFF. ​Socket Type. 1 x Battery socket (3V). This is for both our protection and yours. 1 x serial port. Everything is fully tested unless otherwise stated. Socket Type: LGA775. We include exactly what is shown in the photographs, nothing more and nothing less. Form Factor: Mini-ITX. New Sony Laptop Main Board Motherboard Socket G2. Compatible with the following Sony models. Socket Type: LGA1155. Model: HP Pro 3400. Form Factor: Mini Tower (MT). We include exactly what is shown in the photographs, nothing more and nothing less. This is a genuine Apple 12 Core 2.66GHz MacPro5,1 board from a working Mac Pro. Complete CPU tray for any Apple Mac Pro 2012 or 2010 model. 12 Core 2.66GHz CPU Tray for Apple Mac Pro 661-5708, 639-0460, 820-2742-A. Dual LGA 1366. If you need fans, here's the link RAID 0, 1, 5, 10 support (Windows). RAID 0, 1, 10 support (Linux). Integrated IPMI 2.0 with Dedicated LAN. 2x USB internal headers. 1x USB on-board. Onboard USB. We include exactly what is shown in the photographs, nothing more and nothing less. Apple 27" Mid 2011 i7 3.4 Ghz Logic Board A1312. Part removed from Working iMac. Includes Quad Core 3.4Ghz processor i7 2600S. Compatible with 27" 2011 iMacs ONLY. Genuine New Sony Laptop Working Main Board Motherboard. Compatible with the following Sony models. RAM Technology:DDR4 (Dual Channel). DDR4 2800 (O.C.). DDR4 3000 (O.C.). DDR4 3200 (O.C.). DDR4 3300 (O.C.). DDR4 3333 (O.C.). DDR4 3400 (O.C.). DDR4 3466 (O.C.). Great service. Quickly resolved 1 small issue. Thx -R1dxn. We can only apologize for this, and hope this does not cause you any problems. Unit in Excellent Condition. 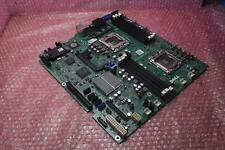 You will receive 1 Dell Precision T7500 Motherboard 0D881F NO FAN HEATSINK, NO CPU TESTED LOT:PT. This rigorous process is conducted from inside to outside. Our technicians perform one-on-one inspections with each of our computers individually. Caratteristiche CPU Socket LGA1155. Slot Ram DDR3. Info Tested and working. CPU, RAM, Cooling Fan NOT included. Scheda Tecnica. REV. G/A 1.02. Form Factor. 1x PCI-E 3.0 x8 slot. SATA DOM (Disk on Module) power connector support. 4 x USB 2.0. USB 1.1/2.0. Video Ports. Rear Panel Ports. Max LAN Speed. Model: X399 DESIGNARE EX. Chip Set: X399. Socket Type: TR4. This Motherboard has been Manufacturer refurbished by Gigabyte. Gigabyte tests the Motherboard and confirms that it is fully functional. Maybe you have read about the problematic lead-free solder that is causing the BGA (ball grid array) to crack which in turn creates a cold solder joint on the circuit?. The thing that is causing those strange shapes on your screen, those feint horizontal lines across the Apple logo on boot or preventing the laptop from fully booting and crashing as the OS loads. Intel Atom 2x 1.8Ghz CPU, Linux + Windows 7 kompatibel! Für weitere Details siehe Fotos. Das Symbol der durchgekreuzten Mülltonne bedeutet, dass die Batterie nicht in den Hausmüll gegeben. Die auf den Batterien abgebildeten Symbole haben folgende Bedeutung. MSI H81M-P33. Product details and specifications are downloaded from the internet. Second user products may show normal signs of use - scratches, scuff marks, dusty etc. (INCLUDES WHAT'S ON PICTURES ONLY, NO OTHERS. From San Jose California :). Model: Proliant ML110 G7. Socket Type: LGA1155. HP AS P/N: 625809-001. HP SP P/N: 644671-001. We include exactly what is shown in the photographs, nothing more and nothing less. New Sony Laptop Main Board Motherboard Socket P. Compatible with the following Sony models.